A lone UAV fitted with a shotgun in just a few years from now will be transformed into a flying armada, replacing soldiers on the battlefield and capable of destroying enemy ground forces and rival drones. At the end of March, Russia unveiled to the world a new drone with a Vepr-12 shotgun on board. Soon, the Russian military will take possession of a new aircraft that will replace soldiers on the battlefield and carry out all combat tasks. The new model is currently undergoing testing, but is already known to be able to spray enemy targets with grapeshot, canister rounds, or bullets from 12-caliber shotguns. The effective strike range is around 50 meters. The recoil from the shot does not knock the drone off course or throw it to one side—the “flying monster” will be able to continue firing until it runs out of ammo and has to return to base. What's more, VKO Almaz-Antey Concern, which patented the development, is considering a variant with a 7.62x39mm-caliber Kalashnikov assault rifle on board instead of a shotgun. This would be a highly efficient, not to mention deadly, solution, since 7.62x39 is the most common caliber in the world, allowing the drone’s ammunition to be replenished with cartridges capatured from militant warehouses in a combat zone in the Middle East and elsewhere. Among its other known characteristics, the "drone killer" (as it was nicknamed at the testing ground after destroying both ground targets and a dummy drone) is capable of vertical take-off and landing, and can stay airborne without recharging for up to 40 minutes. 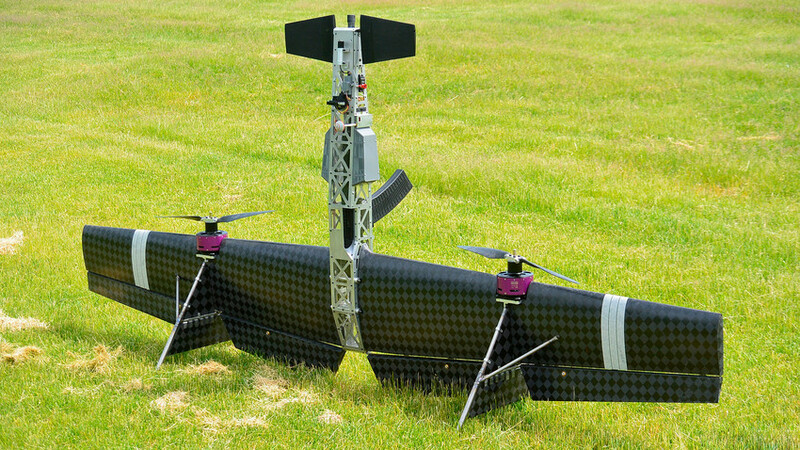 A key feature of such UAVs is the ability to integrate them into a flying armada of 30, 40, or more aerial vehicles. According to military personnel and analysts, the army of the future will be based on “swarming drones” that replace humans on the battlefield and use AI to independently identify and eliminate enemy targets. Russian arms manufacturers previously unveiled a slightly enlarged version of such a drone weighing 20 tons, set to replace not only humans, but fighter jets too. Details of this development (codenamed Hunter) are available here.